In order to succeed with agile approaches, teams and organizations should focus first on “being agile” as a foundation for success in “doing agile.” ICAgile’s fundamentals learning outcomes delve into key concepts such as adaptive planning, value-driven development, team collaboration and frequent feedback for continuous improvement. The course also covers the history of the agile movement, the Agile Manifesto, the Agile Principles, and some widely applied frameworks and practices. Course participants come away with a solid understanding of core concepts as they prepare to embark on their agile journey. 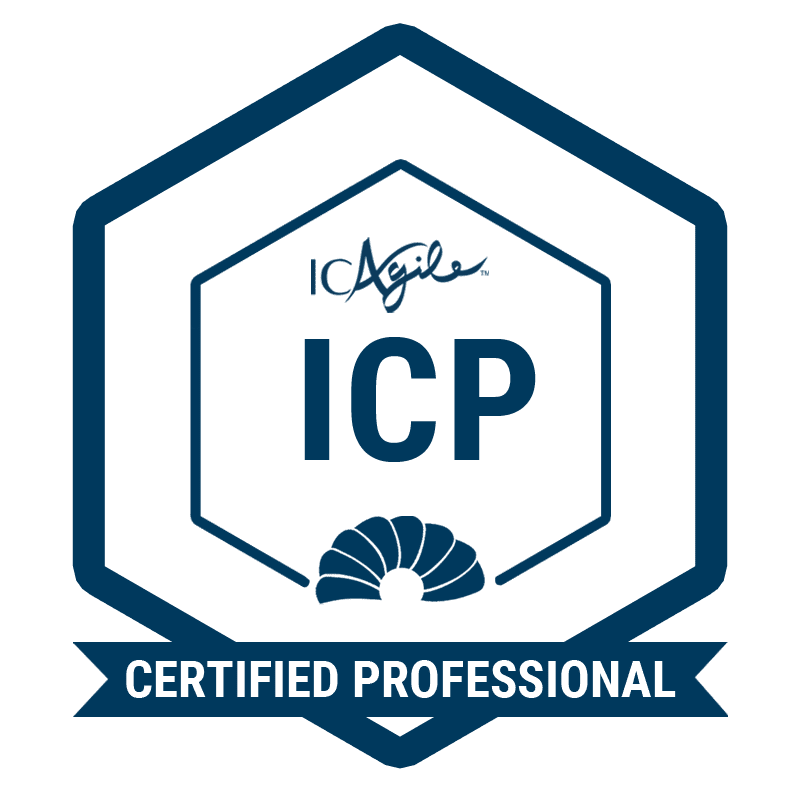 Since the ICP is foundational and the gateway to all other ICAgile tracks, the ICP certification has the broadest target audience. It is appropriate for those new to the agile world, and for practitioners who recognize the need to focus on “being” agile in addition to “doing” agile. The course can be tailored to specific requirements for private courses. The foundations of Agile are brilliantly simple, obvious and easy to grasp. However becoming Agile is more challenging, requiring a major shift from the traditional thinking and project delivery approaches. Agile is a clever concept that helps us deal with many of the issues that plagued project teams in the past (shifting requirements, losing customer focus, poor team communications, a dynamic context etc). Our ICAgile certified Agile Fundamentals course is designed to lay a solid Agile foundation in delegates, so they can confidently appreciate the mindset needed and contribute effectively to their organisation’s Agile aspirations. The course on its own will give you valuable working knowledge of Agile but is a precursor gateway to attending advanced ICAgile learning pathways. This course is aimed at the broadest audience and can include anyone from across the organisation. This course is offered on our regular schedule or as a private course for organisations. It can be customised to your organisation’s needs. 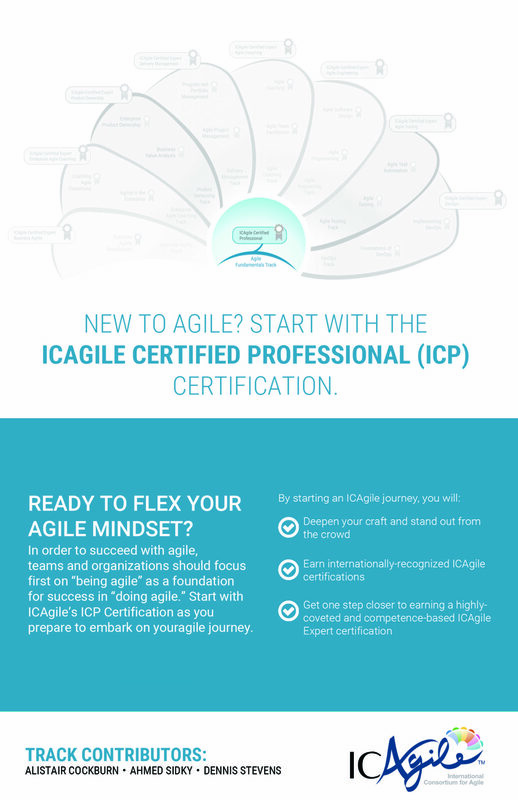 Founded in 2010, ICAgile is a leading global Agile accreditation and certification body that helps organizations design learning experiences that cultivate an agile mindset and enable sustainable organizational agility. ICAgile provides world- class learning tracks to guide organizations in the development of their curriculum. ICAgile’s approach is not tied to any specific Agile methodology, thus giving people the flexibility to blend flavors in a way that make sense for their reality. Prerequisites: There are no course prerequisites. This course is useful for those already embedded in Agile projects as well as those about to begin or researching the area.